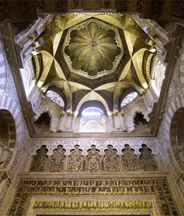 An audience of two hundred met in the assembly hall of the Obispado de Córdoba for a presentation of the findings from the vault belonging the Mosque of al-Hakam II. 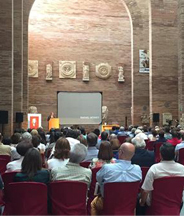 Antonio Cruz, Rafael Moneo, Carmen Pinós, Elías Torres and Gabriel Ruiz Cabrero were the speakers. 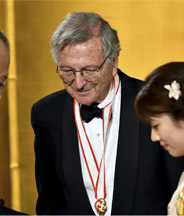 Rafael Moneo was distinguished with Japan´s most important award for the Arts, the Preamium Imperiale, in recognition of Moneo´s professional career. The ceremony was held in Tokyo and presided over by Prince Hitachi. 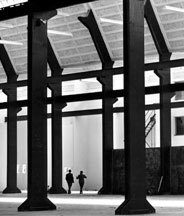 Moneo is the fourth Spaniard to receive this prestigious award, after tenor Placido Domingo, sculptor Eduardo Chillida and painter Antonio Tàpies. 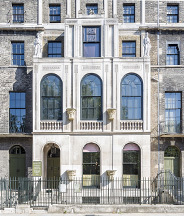 Rafael Moneo has been announced as the inaugural winner of the Soane Medal, an annual award recognizing architects whose work has broadened and enriched the understanding of architecture and the built environment. 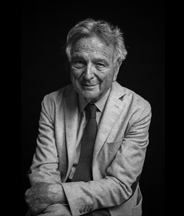 As laureate, Moneo will give the first Soane Lecture, at the RIBA next November 1st. 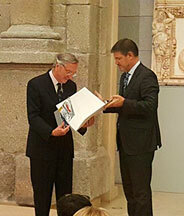 The Minister Rafael Catalá has awarded the National Architecture Prize of 2015 to Rafael Moneo, citing the quality of his work, his contribution to architectural thought and his teaching in the most prestigious international Universities. 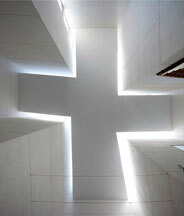 Rafael Moneo is awarded the International Prize of Sacred Architecture VI Edition for the Iesu Church in San Sebastian (Spain). Hermès presents the Oria d'Hermès chair, inspired by the Oria chair designed in the early sixties by Rafael Moneo for his personal residence. 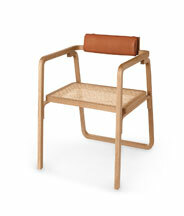 The chair pays tribute to Alvar Aalto and to the tubular steel furniture of the Bauhaus. 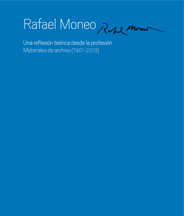 Rafael Moneo has been awarded the Spanish National Architecture Prize for 2015, in recognition of the quality of his work, recognized in Spain and around the world, for his contribution to architectural thought, as well as for his international teaching career. 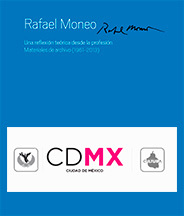 The Fundación Barrié presents Rafael Moneo's exhibition in Mexico, thanks to Arquine's collaboration within the MEXTRÓPOLI 2016 framework and to the support of CEMEX. 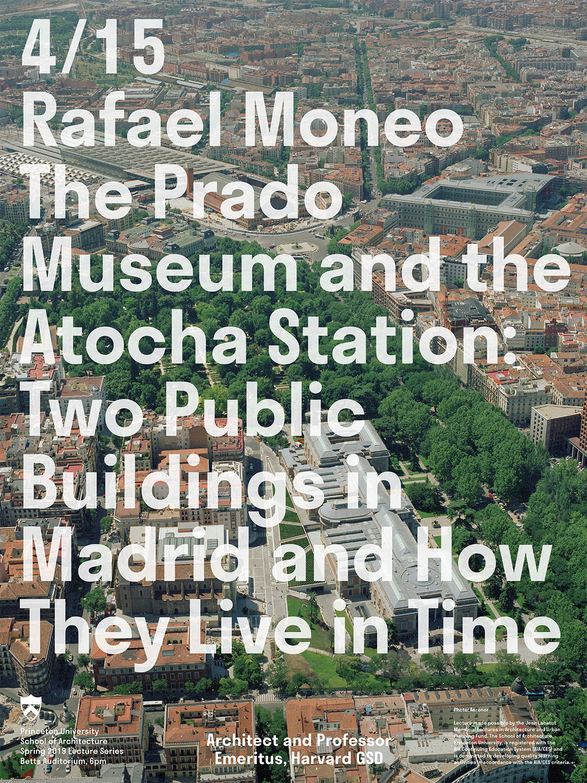 This is the first retrospective of the Spanish architect and winner of the 1996 Pritzker Prize and 2012 Prince of Asturias Prize for the Arts. The exhibition consists of 46 projects, with 17 models, 143 photographs and 98 drawings.